Samsung’s Galaxy S4 is the first smartphone to come preloaded with Visa’s mobile payments function payWave, and features ‘smart pause’, allowing users to control the screen with their eyes! Samsung today unveiled the Galaxy S4, a five-inch smartphone which features new technology including Samsung smart scroll and smart pause – which allow users to control the screen with their eyes. The device, which will go on sale in the UK on April 26 in the Samsung Experience Store at Westfield in Stratford, runs on an octa-core processor and has a 2,600 mAh battery. It runs on Android 4.2.2 Jelly Bean, has user memory of 16 GB expandable to 64 GB and a 13-megapixel main camera and 2-megapixel front-facing camera. The Samsung Galaxy S4 is 4G-compatible, and is the first smartphone to come preloaded with Visa’s payWave function, which means mobile payments will be commercially available on the device globally. Other key features include ‘dual camera’ – which allows users to take photos simultaneously with the front and back camera and then blend the pictures together. It weighs 130g and is 7.9mm wide. 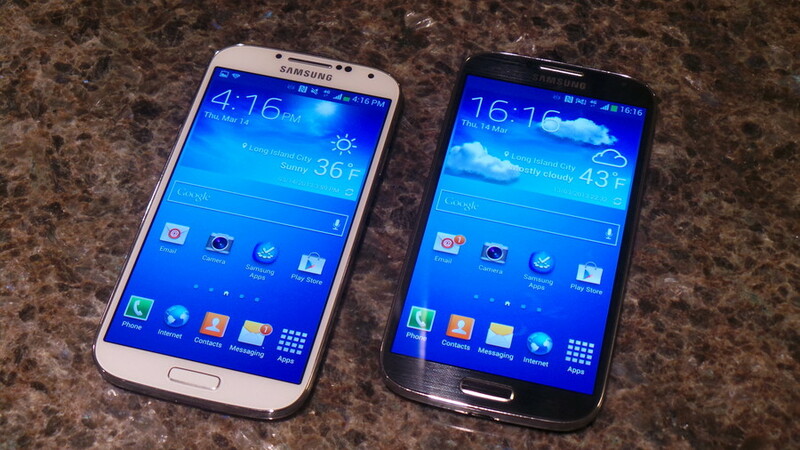 Samsung say “all major operators” will stock the device, which will be available in black and white, from April 26.